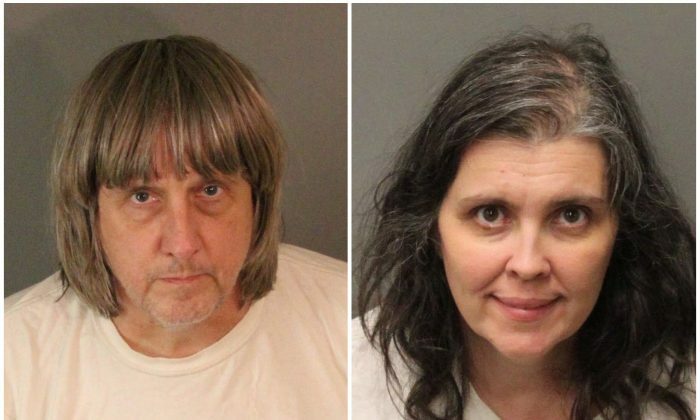 Randy Turpin, a preacher, wants to adopt his nieces and nephews after their parents were arrested for allegedly torturing and abusing them for years. Turpin is the president of a Christian college in Ohio and has written a book. According to a source, Turpin told authorities this week that he wants to explore adopting all 13 Turpin children, reported CBS News. Parents David and Louise Turpin have been charged with a litany of crimes and each could face 94 years in prison. However, officials first want to interrogate him and see if he knew anything about the alleged abuse. Police officers received a phone call from one of the 13 children on Jan. 15 and rushed to the home in Perris, California. They found the kids, malnourished and dirty, imprisoned, with some of them even chained with heavy chains and padlocks to prevent escape. The children are being treated at area hospitals. Randy Turpin is one of about 20 people who have offered to adopt all or some of the children. It’s not clear if all 13 will be allowed to be adopted by the same person. CBS reported that the children were going to be separated at least temporarily as of Thursday, with the younger set of siblings taken to one foster home while the seven adult siblings will be transferred to an assisted living facility for adults. The siblings have requested that they stay together. Randy Turpin took a leave of absence from his job as president of Valor Christian College as of Jan. 17, following the “revelations about estranged family members,” a statement from the college provided to The New York Post reads. “The Valor Christian College community joins with millions of Americans who are shocked and saddened by these terrible stories from California and we are praying for the full recovery of all involved,” it said. Meanwhile, Teresa Robinette, mother Louise Turpin’s sister, told Inside Edition that the kids should be cared for by her side of the family.